1. 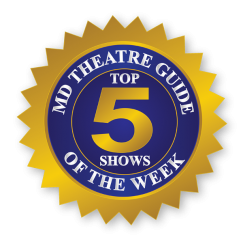 Little Women – The Broadway Musical at Third Wall Productions. “… the heart and the characterizations of the March sisters and Marmee are spot on to the novel and it was a pleasure to see my beloved childhood characters brought to life with such accurate understanding by the actors.” – Liz Ruth-Brinegar. Synopsis: Based on Louisa May Alcott’s life, Little Women follows the adventures of sisters, Jo, Meg, Beth and Amy March. Jo is trying to sell her stories for publication, but the publishers are not interested her friend, Professor Bhaer, tells her that she has to do better and write more from herself. Begrudgingly taking this advice, Jo weaves the story of herself and her sisters and their experience growing up in Civil War America. Some of the cast of “Little Women” by Third Wall Productions. Photo by Karen Osborne. 2. 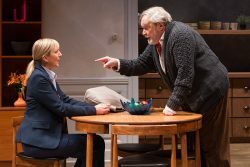 The Father at Studio Theatre. Synopsis: André is 80 and a man of his own mind. He’s quick with a joke, especially one with an edge, and used to dominating conversations and relationships. But things are getting strange: His trusted watch goes missing, reappears, and is lost again. His daughter’s stories don’t quite add up. His furniture is disappearing and there are strangers at his table. The incomparable Ted van Griethuysen stars in Florian Zeller’s internationally acclaimed and theatrically thrilling exploration of who we are to ourselves when our signposts disappear. 3. Legally Blonde the Musical at Silhouette Stages. “This feel-good musical is so much fun, it’s impossible not to smile and enjoy.” – Pamela Steinik. 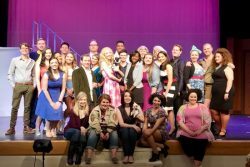 Synopsis: Based on the adored movie, Legally Blonde: The Musical is a fabulously fun, international award-winning musical. Follow Elle Woods from sorority house to the court room as she tackles stereotypes, snobbery, and scandal in pursuit of her dreams. 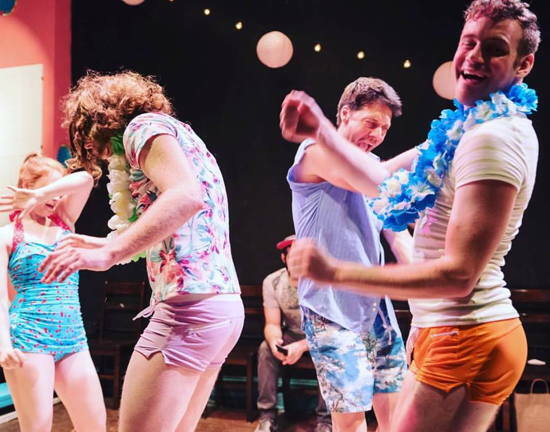 Equal parts hilarious and heart-warming, this musical is so much fun, it should be illegal! 4. The Hunchback of Notre Dame at Synetic Theater. 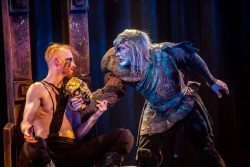 “Synetic Theater, as part of its epic theatrical mission, explores the classics of the Western canon—not just Shakespeare—and wordlessly, breathtakingly, reveals how modern they are.” – Andrew Walker White. Synopsis: Synetic’s visionary Founding Artistic Director Paata Tsikurishvili brings his mind-bending, cinematic style to Victor Hugo’s gothic, heartbreaking epic of inner beauty and undying loyalty. When the beguiling dancer Esmerelda captures the heart of the deformed bell-ringer Quasimodo, his adoptive father, the priest Frollo, decides he wants her for himself – plunging all of Paris into a spiral of riots, revolution, and murder. This production will not have dialogue. Recommended for ages 13+ for violence. Philip Fletcher as Frollo and Vato Tsikurishvili as Quasimodo. Photo by Johnny Shryock. 5. Kaleidoscope at Creative Cauldron. “Take time to see this new musical.” – Jeannette Mulherin. Synopsis: From the creative team behind the critically-acclaimed The Turn of the Screw and Monsters of the Villa Diodati! During the run of a legendary Broadway performer’s comeback one-woman show, the performances take unexpected turns as she tries to tell the story of her star-studded life in the theater. She frequently forgets anecdotes that she was supposed to tell, or makes up entirely new ones. Her stage manager and director try to come to her aid, but the insidious signs of Alzheimer’s disease are becoming apparent. Brimming with humor and pathos, this heart-warming Bold New Work twists and turns its way through the shadows of memory. 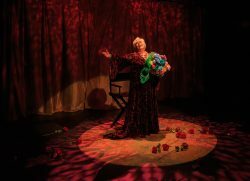 Florence Lacey stars in “Kaleidoscope” at Creative Cauldron in Falls Church, Virginia. Photo provided by Keith Waters, Kx Photography.